Ms. Stanwood is the Senior Vice President of EB Impact Capital Regional Center, LLC, having joined the company in January 2018. 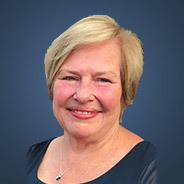 Previously, she practiced real estate finance law at the international law firm of Pillsbury Winthrop Shaw Pittman LLP where she represented national and California banks in major real estate development financings across the western United States, including residential subdivisions, retail shopping centers, commercial developments and casinos. During her legal career, Ms. Stanwood also advised construction companies and major corporations on their construction contracting and leasing operations. From 1992 through 1998 she was General Counsel of Hazama USA Corporation, advising Hazama and its parent company, Hazama Corporation of Japan on their U.S. real estate development and construction operations. Prior to that, Ms. Stanwood was a law professor at UCLA School of Law where she taught trial advocacy and legal research and writing.